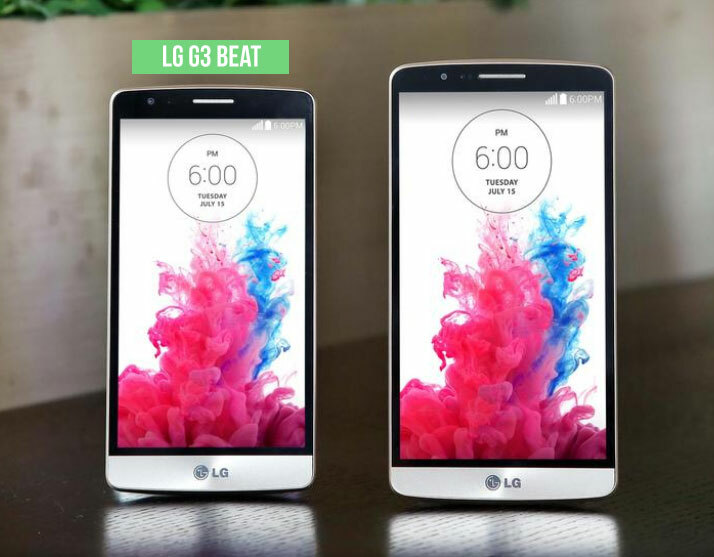 LG has officially announced the G3 beat, its latest mid range smartphone that shares the G3 title in its name. As the heading for our article clearly states, this device is not a mini version of the G3. This is purely because of the fact that the G3 Beat features a 5-inch screen – the size of most flagships nowadays. Inside however, things have been watered down to match the mid tier price. The new smartphone will be marketed as the G3 Beat in South Korea and as the G3s in other markets, namely Europe. The G3 Beat retains most of the hardware highlights of its elder sibling starting from the beautiful floating arch design to the super fast laser autofocus and of course the uniquely placed volume buttons on the rear. I appreciate how LG did not change the design of the G3 Beat from that of the original G3 and has made no compromises on the aesthetics of the device. Moving into specifications, the G3 Beat’s 5-inch display is an HD IPS panel ( 1280 x 720 pixels) with a pixel density of 294 ppi which is no where nearly as supreme as the G3’s quad HD display, nevertheless this is the budget model so it is understandable. Inside, LG packed a quad-core 1.2GHz Snapdragon 400 processor backed by 1GB RAM and 8GB built in storage which is expandable with a 64GB microSD card. The device is kept alive by a 2,540mAh battery. On the front we have a 1.3 megapixel camera and on the back there is an 8 megapixel camera along with the power and volume buttons. LG has really been doing an excellent job with its smartphone game recently and it has been made imminent with the brilliant reviews the G3 is getting. Although the G3 Beat may seem a little underpowered to some, I speculate its unique design and intuitive features like Knock Code will be major selling points for this mid range handset. LG definitely deserves more than the attention it is getting right now and we are just waiting to see how far can the company push the boundaries. The G3 Beat will be available for purchase on July 18th in South Korea and a few weeks later in other global markets. Pricing has not yet been confirmed for the device.